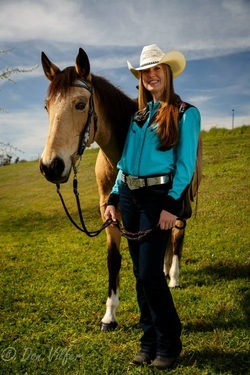 Erin Maurer currently serves as the co-leader for the BAS Equestrian Division. She has been attending Bayside since 2008 and has been involved with BAS since 2009. She and her husband, Nick, live in the Placerville area on 5 acres where they enjoy a wide variety of outdoor activities including hunting, fishing, camping, raising their animals, rafting, hiking, along with other numerous activities and sports on horseback. Born (in 1981) and raised in a Christian home on 5 acres in Modesto, Erin has had an amazing relationship with God since she was a child. She has been blessed with owning and riding horses her entire life, enjoying everything from Western, English, Jumping, Barrel Racing, Polo and Ranch Work. Camping with the horses in the Sierras each summer is her favorite pastime. She graduated from UC Davis in 2003 with a BS degree in Equine Science, which has proven useful in working with horses, as well as sharing this passion for horses with others. After all, things we have been blessed with become that greater a blessing when shared with others.